Do you really know what the TV color bars mean? Home / Other / Do you really know what the TV color bars mean? Most of us have experienced TV color bars. However, Do you really know what the colored bars on TV mean? 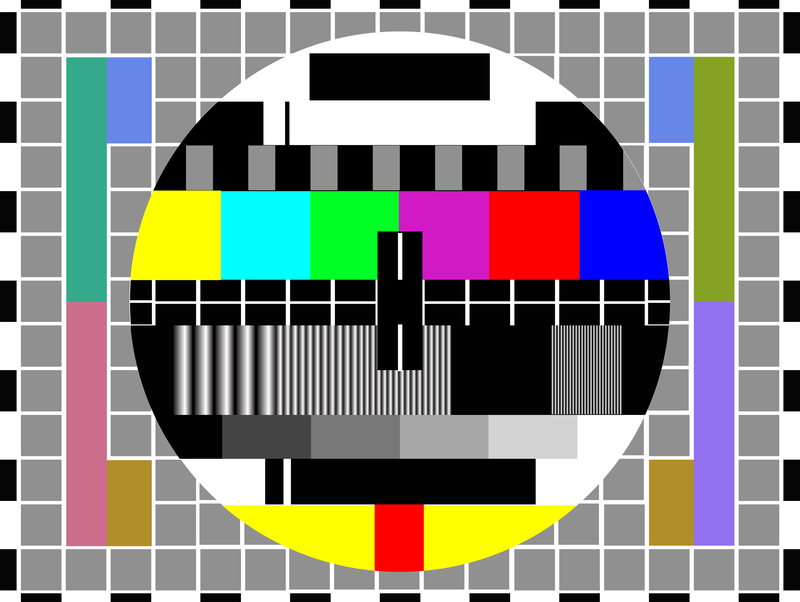 To start off, TV color bars are officially known as SMPTE color bars. 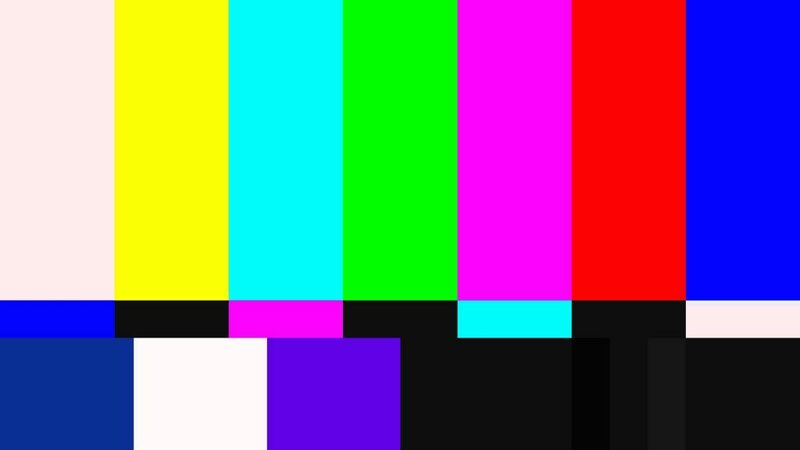 SMPTE stands for Society of MotionPicture and Television Engineers (SMPTE) which is an organization that started the colored bars we see on TV. changed via transmission or recording. This will give them an idea of what they should do to bring back the video signal to specifications. there was an old TV pattern that was known as the Indian head test pattern.Basically, there was an image of an Indian head which appeared in different shapes and lines that TV engineers used in calibration of broadcasting equipment. 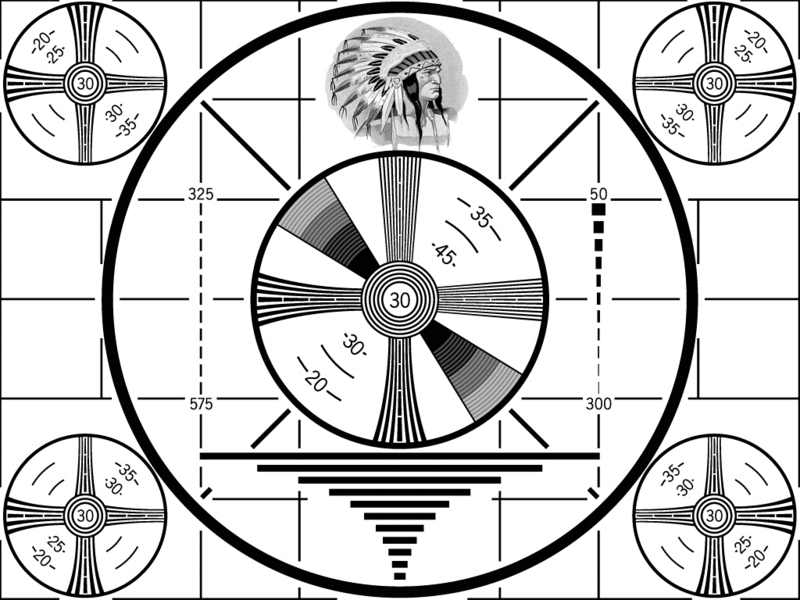 The Indian head test pattern used to appear at the beginning of the TV station in the morning and right at the end of the station in the evening. Most videotapes that are digitized today utilize color bars and monotone at the start of the tape. The audio that normally accompanies TV color bars is what is commonly known as a monotone. Both the monotone and the bars serve specific purpose which is to calibrate the audio and color levels that is being emitted by the videotape during transmission. consist of seven vertical bars that comes in yellow, white, green, magenta, cyan, blue and red. 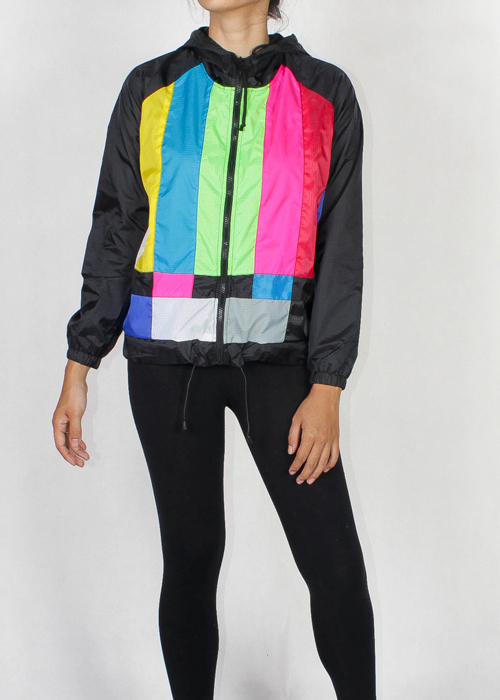 The TV color bars that accompany some videotapes are carefully set out test patterns. Usually, color green, red,magenta, cyan, yellow, and blue are arranged from the most luminous color to the least. This pattern is what helps to achieve the white level. Green is the color that contributes the most to the luminance color, red is second then third is blue. The green color usually cycles on for the four bars to the left and off for the three bars to the right. Red will be cycling on and off between every two bars, while blue cycles on and off between every colored bar. Just below the seven main color bars we have magenta, cyan, white and blue castellations at the middle. In case the TV receiver filters the colors and leaves out blue. These four castellations together with the seven main color bars will be used to correctly adjust the color control. In case the color controls are properly adjusted. They will appear in blue mode of four bars that is difficult to distinguish one from the other. 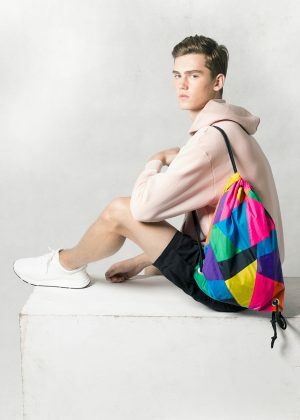 At the bottom of the test pattern we have 100 percent white intensity square color and 7.5 percent black intensity rectangle color, which are used to set the luminance range. Because of interesting shape, bright,vivid and statement color of Tv color bars. 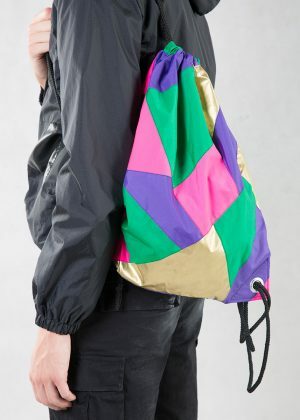 We seen a lot of this pattern in bags, clothes and accessories in lately fashion. 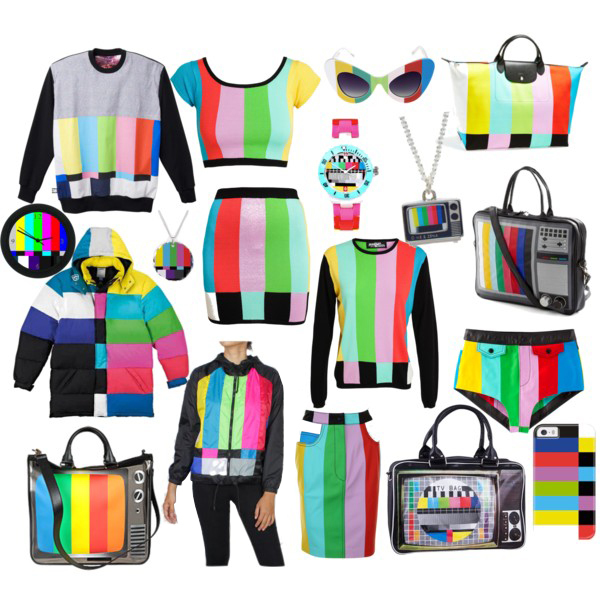 Include one of our Ilovenoname design that’s we got inspired from The SMPTE color bars.